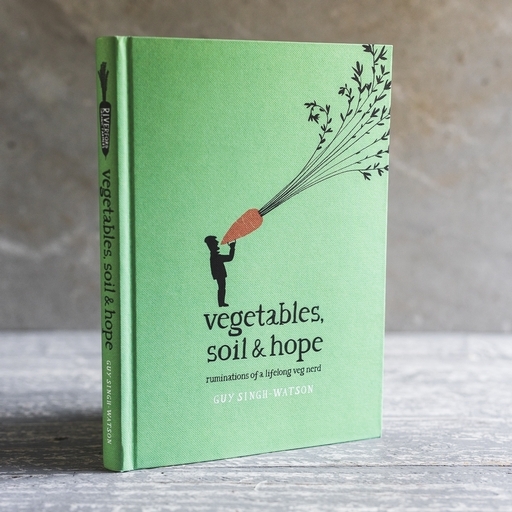 Vegetables, Soil & Hope chronicles a quarter century of life on the veg. Every week for over 25 years, Riverford founder Guy Singh-Watson has distilled his ruminations on ethical food, farming and business into a missive to our 50,000 veg box customers. By turns ranting and reflective, these pieces will make you challenge the food on your plate, empathise with those who produce it, and perhaps catch Guy’s enthusiasm for artichokes, bitter leaves and cardoons.